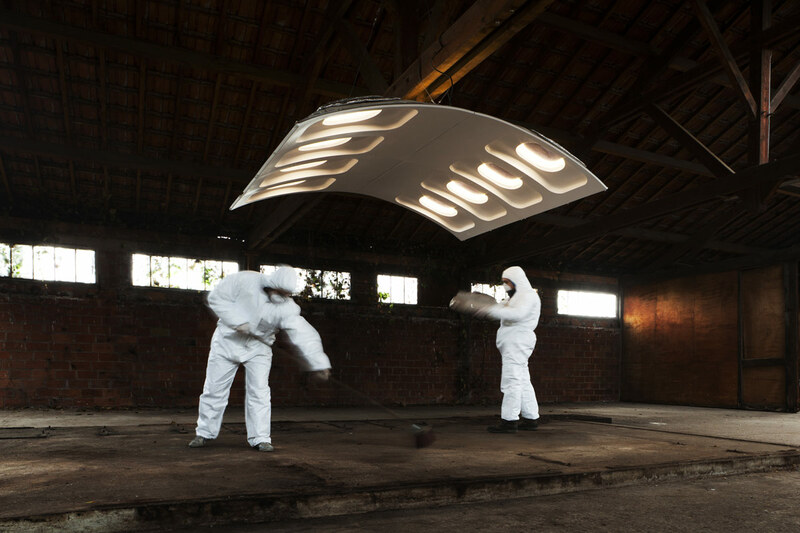 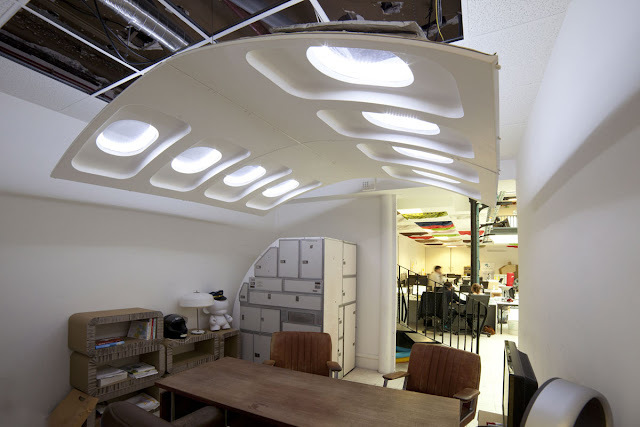 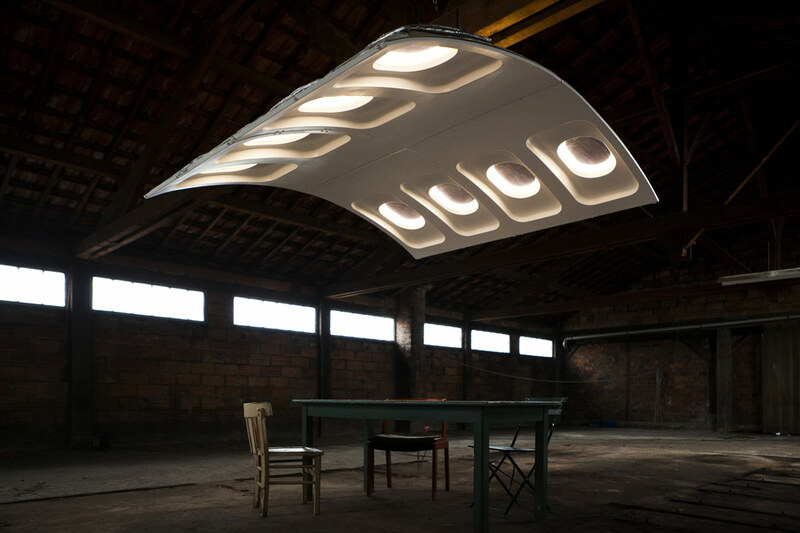 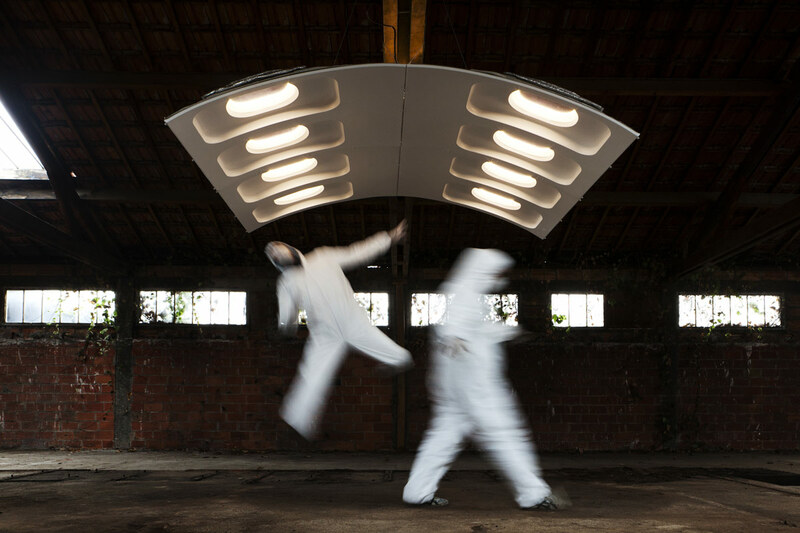 French designer Paul Coudamy has taken airbus windows and recycled them to create a modular lighting concept. The 'F-light' is constructed from the walls / windows cabin of an airbus A300, whereby the engineered curves, windows and insulation of the airplane takes on a second life as a functional lighting structure. 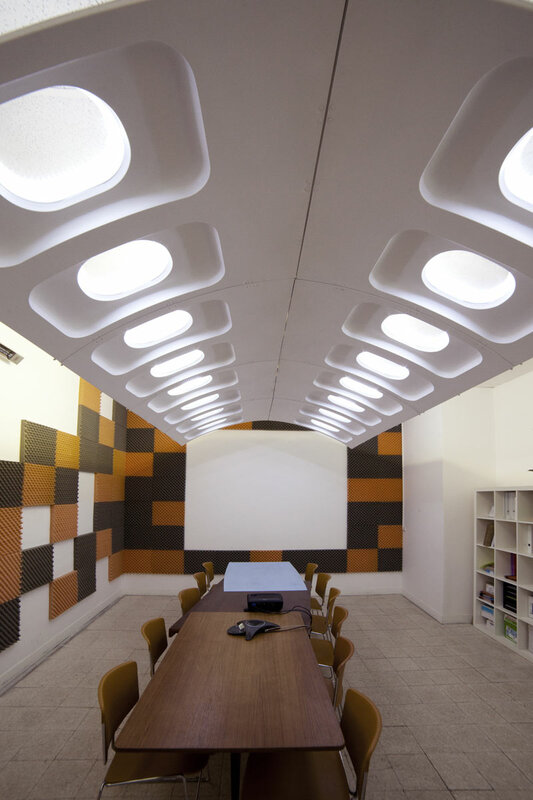 Designed for flown mobilier airline, the result is a luminous ceiling that forms a dome-like shell. 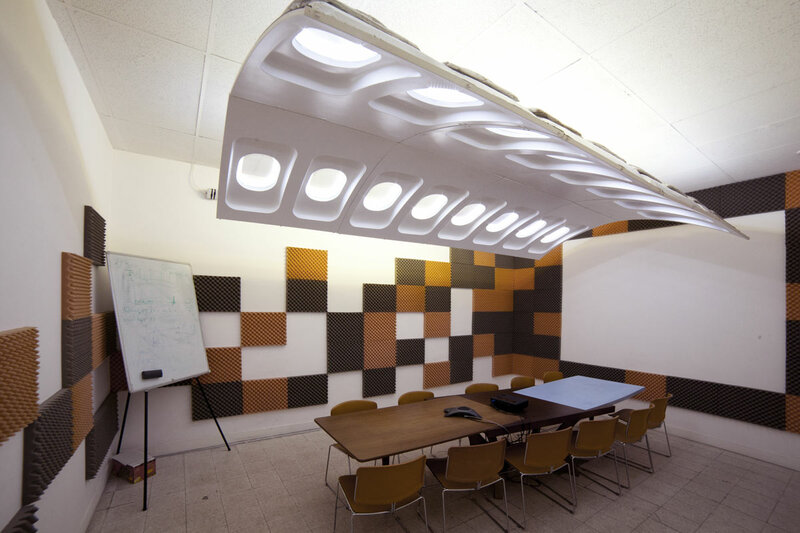 Modularity of the system, allows the panels to be put together according to one's desired size. 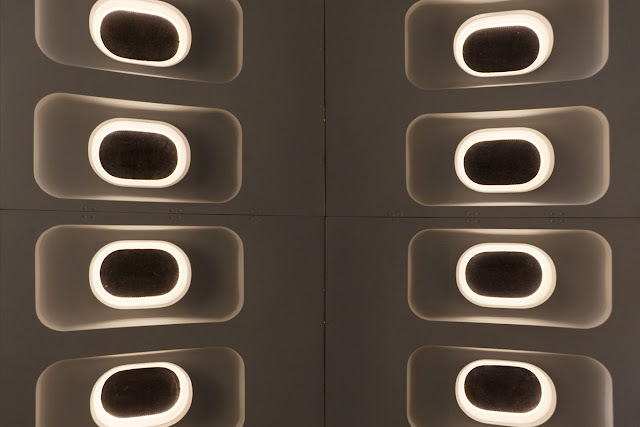 Each window is outfitted with light halos which provides a diffuse and even luminosity over the entire object's surface. 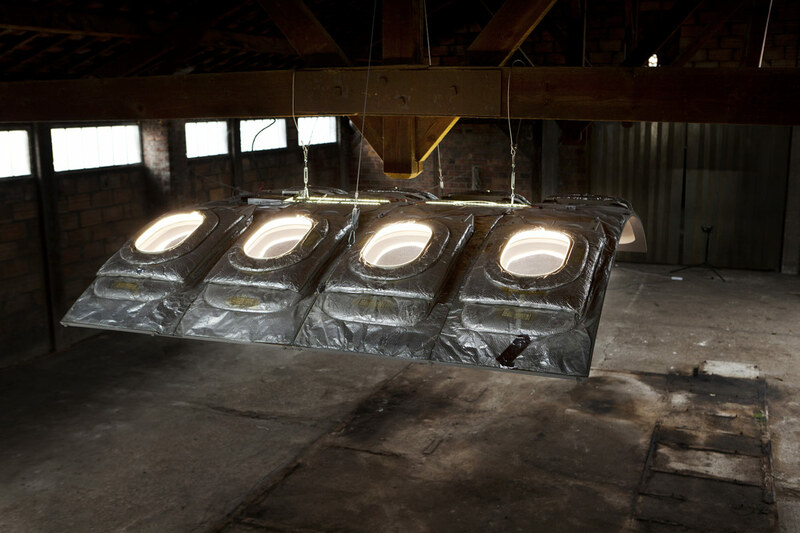 A second indirect lighting mounted on the structure is reflected by the original silver insulation.